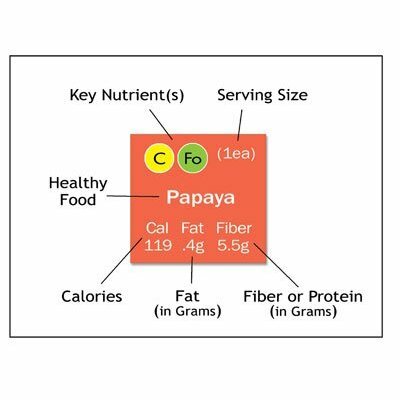 Looking for an easy but fun way to keep track of the nutritional info of certain foods? You need these cleverly cute food magnets. 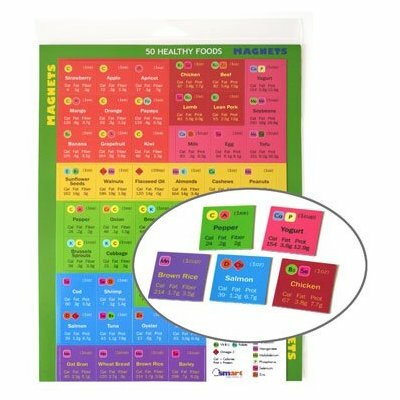 For about $12, you can pick up a handy dandy set of 50 magnets with all the details you need to make healthy food choices. Other nifty “cheat sheet”, multitasking cooking helpers include the Herbs & Spices Kitchen Towel Set and the Kitchen Tips Kitchen Towel Set. The towels not quite as cute as the magnets, but they’re still great ways to keep important info at your fingertips while you’re whipping up a tasty treat. Entry filed under: clean eating, tips & techniques. Tags: health helpers. Whole Wheat Soy Blend Peanut Butter Cookies, v1	Silly Me!